Patio pavers are a great way to liven up your landscape and boost the overall curb appeal of your Annapolis, Maryland, home without having to pay an arm and a leg for landscape renovations. You can use pavers in a variety of ways, such as to create a homey walkway leading to your front door or to give your current driveway a makeover. Whatever purpose you have in mind for the installation of patio pavers, Allmaster Home Services is the company you can count on to meet all of your aesthetic and functional requirements. 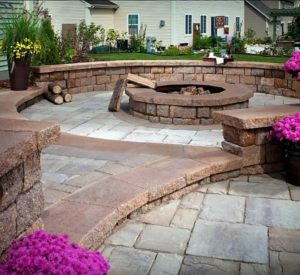 Before we begin a patio paver installation in your landscape, we will first meet with you for a complimentary in-home consultation to discuss the goals you have and where you want to incorporate pavers on your property. Our expert team will put together a presentation of what the finished project will look like for your approval, and then our highly skilled installers will get to work on bringing your landscaping dreams to life. To learn more about the patio pavers we can install for homes in Annapolis, MD, and nearby areas, contact Allmaster Home Services today.